The timeless beauty of marble is a stunning focal point or gracious accent for your kitchen, bath and home surfaces. 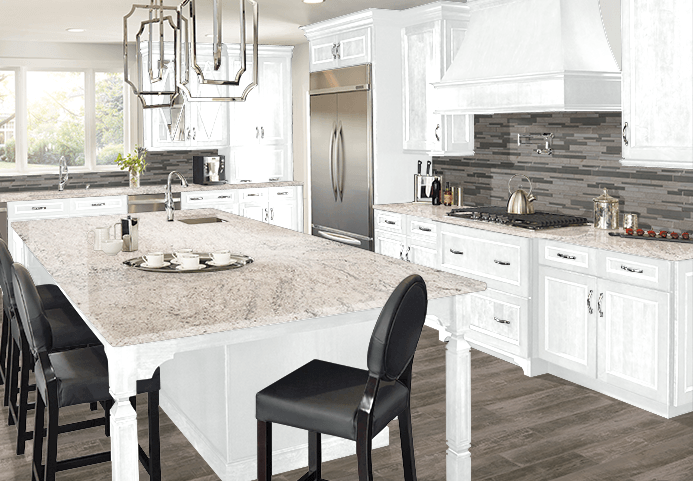 Marble is a classic, luxurious style choice for vintage kitchens and baths, but it's just as stunning used as a dramatic focal point for a modern kitchen island or baking center, or as a unique and glamorous tabletop. Marble is a timeless choice for countertops and home surfaces...talk with our Design Center staff today to learn more.